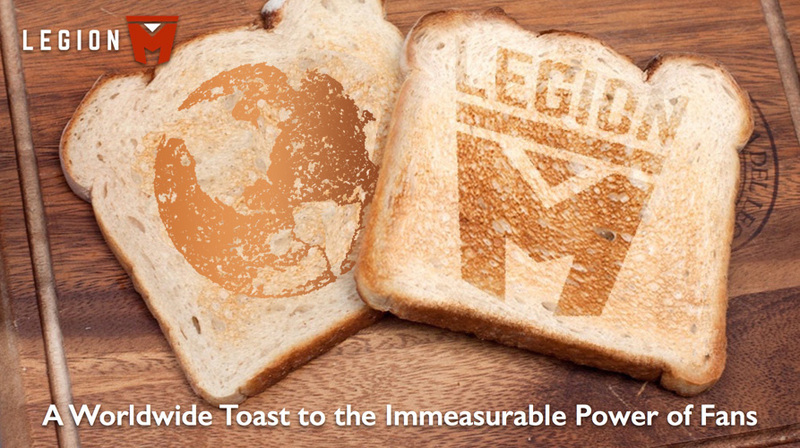 On August 20th, Legion M broadcasted live from the center of Hollywood at the Scum and Villainy Cantina to host its third ever Worldwide Toast, celebrating the end of a successful third round of funding. Joined digitally by new and existing investors and members around the globe, as well as some special guests in person, the Legion M team shared our business model, the potential growth impact, our slate of projects, and fielded questions from the audience. If you weren’t able to watch live, or if you just want to check it out again, you can see the entire broadcast below. You will also find a table of contents so you can skip to your favorite or the most intriguing segment. Legion M plans to open a new round of funding soon, so stay tuned! 0:51:40 - How/when can I invest more? 0:52:52 - What is Legion M's international community like? 0:55:04 - When will there be more opportunities to assist the Legion? 0:55:52 - When will more items be added to the store? 0:58:26 - Will a referral program be in place by round four? 0:59:15 - Can members submit screenplays? 1:01:48 - Will Legion M be at Sundance 2019? 1:03:22 - Will there be a Legion M holiday movie? 1:04:10 - Will Legion M members be invited to awards shows, if nominated? 1:05:35 - Plans for New York Comic Con?